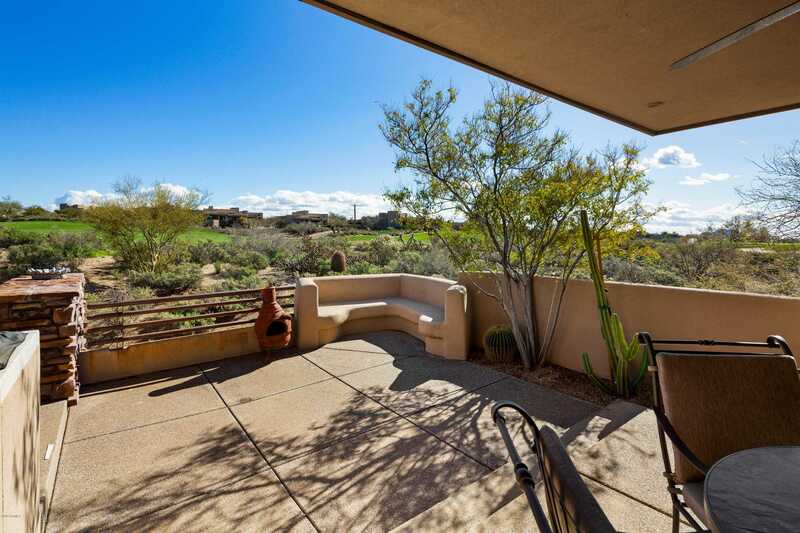 Great Golf course townhouse on the first fairway of the Apache golf course. Large covered patio, Spacious Viento plan, granite countertops, tile and wood floors throughout. Fresh stone on the fireplace. Furniture available by separate agreement minus personal items. Approximate size: 8090.00 sq. ft. Please, send me more information on this property: MLS# 5876512 – $795,000 – 40143 N 110th Place, Scottsdale, AZ 85262. I would like to schedule a showing appointment for this property: MLS# 5876512 – $795,000 – 40143 N 110th Place, Scottsdale, AZ 85262.